your data is in a final state and not expected to undergo revisions. you have removed any private, confidential, or other legally protected information from your data. you are a faculty member, staff member, or graduate student at the University of Illinois at Urbana-Champaign. you have permission to publicly distribute data from all creator(s) and/or copyright owner(s). is open to anyone in the world. receives a stable identifier (DOI) for easy reference and citation. is readily available for anyone to access for a minimum of 5 years. is located in a stable environment that complies with many funder and publisher requirements. The Illinois Data Bank's mission is to centralize, preserve, and provide persistent and reliable access to the research data created by affiliates of the University of Illinois at Urbana-Champaign, such as its faculty, academic staff, and graduate students. The Research Data Service at the University Library maintains and operates the Illinois Data Bank on behalf of the University of Illinois at Urbana-Champaign campus. The University Library has a long history of successfully supporting the preservation of and access to Illinois research outputs. The Illinois Data Bank operates within a robust policy framework that fully describes the University's commitment to providing persistent and reliable access to research data. 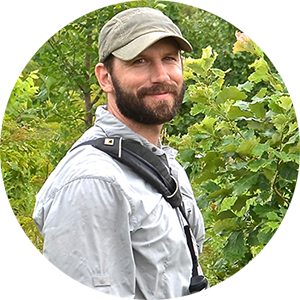 A graduate student at the University of Illinois / Illinois Natural History Survey, Reiley is working on his PhD in the Department of Natural Resources and Environmental Sciences. His recent work found population declines of Swainson's warblers following catastrophic flooding events. What influenced your decision to deposit your data in the Illinois Data Bank? While I found many options available to store my data online, the cost was prohibitive for my tight graduate student budget and my project did not have funds to cover the cost of data storage. As I looked for more economical options I was surprised and happy to find that the U of I had an option that was free to students and faculty.